The "U.P" is what Michiganians call the Michigan Upper Peninsula. For the geography experts visiting here, Michigan is made up of two peninsulas, the "mitten" which is our large, lower peninsula, populated by the vast majority of Michigan residents, and holding all or our large, metropolitan communities, and the U.P., which is bordered to the South partly by Lake Michigan and parly by Lake Huron, and to the North by Lake Superior. 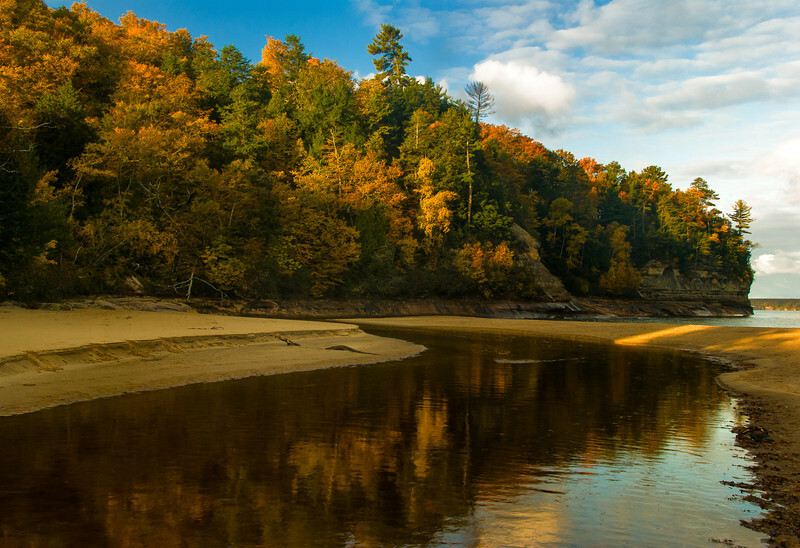 A unique, natural wonder, it sports Michigan's only "mountain" (probably doesn't really qualify), the Porcupine Mountains, and numerous waterfalls, as well as two National Forests, several State Forests, and the picturesque "Pictured Rocks National Lakeshore." Predominately rural and natural, it is a photographer's wonderland, and is second only to New England, in my view, for its fall foliage.